This May, HSC proudly announced the winners of our third annual School Nurse Leadership Award. It’s an award that acknowledges the tireless commitments that school nurses make, and is supported by School Health Corporation and MAICO Diagnostics. The five winners and five honorable mentions selected from across the country represent school nurses who are reimagining the role they play in school health and wellness, students’ academic success and the health of the larger community. In this blog, we speak with award-winner Cathy Owens. 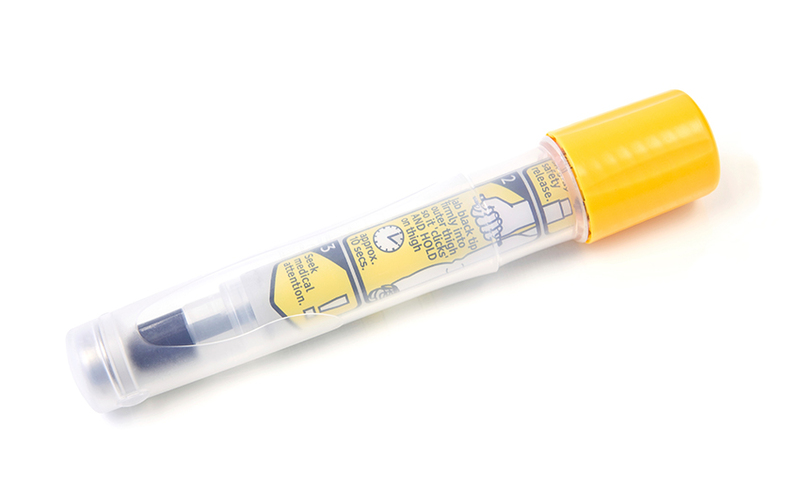 Owens grabbed another student’s epinephrine auto-injector (EAI) and used it. The paramedics arrived shortly after, and Owens followed to the hospital. The doctor there said the student had suffered one of the most severe anaphylactic reactions due to a food allergy that he’s ever seen. There was no doubt in that doctor’s mind that the EAI had saved that student’s life. The local news picked up the story, and soon school nurses from across the country were contacting Owens to say that they commended her actions but that they wouldn’t do it themselves for fear of losing their licenses. “It made me realize that something had to be changed,” she says. Along with the student’s father, she set out to do just that. And in 2001, a California state law passed that allows schools to stock additional EAIs that can be used by school nurses and other medically trained professionals in case of an emergency. Owens viewed that law as a great start, but more needed to be done to protect students. Statistics estimate that 20 to 25 percent of all first reactions to food allergies happen at school, Owens says. Owens continued to be an advocate for food allergies. Murrieta Valley became the first district in the state to stock EAIs in all schools. She developed a policy around its use, and the state adopted that policy as its template. In 2014, nearly 20 years after she saved the student, California passed a law that requires all schools to stock EAIs. The other student whose life inspired Owens to change policy was Travis, who, in March 2006, collapsed and died on a school campus due to an undiagnosed cardiac condition. At the time, having automated external defibrillators (AEDs) was unheard of in schools, but was beginning to become more common in public places. Owens had presented to the district a few weeks earlier about the possibility of having AEDs in the district, but was told “no” because it would be too much of a legal liability. Owens worked with the district’s risk management department to develop a program and protocol for introducing AEDs to schools, and that program is now seen as a standard throughout the state. And she’s still working to pass a state law to require AEDs in schools. Throughout her 27 years as a school nurse, Owens has had many successes and many challenges. These two stories represent two large policy undertakings, but for her—like all school nurses—the work always comes back to the students. We commend Owens for exemplifying the role school nurses can play as advocates for policy change and congratulate her on being a recipient of this year’s leadership award.